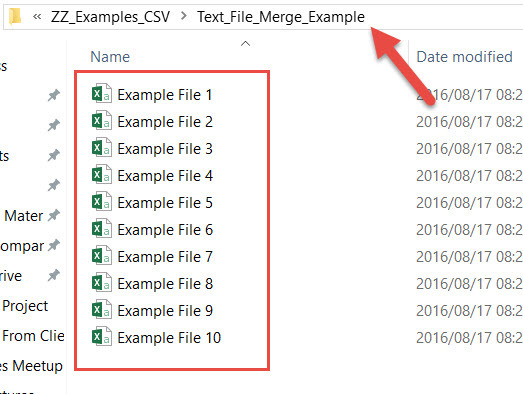 A common requirement from Excel users is to merge multiple csv files into a single file for use in Excel. 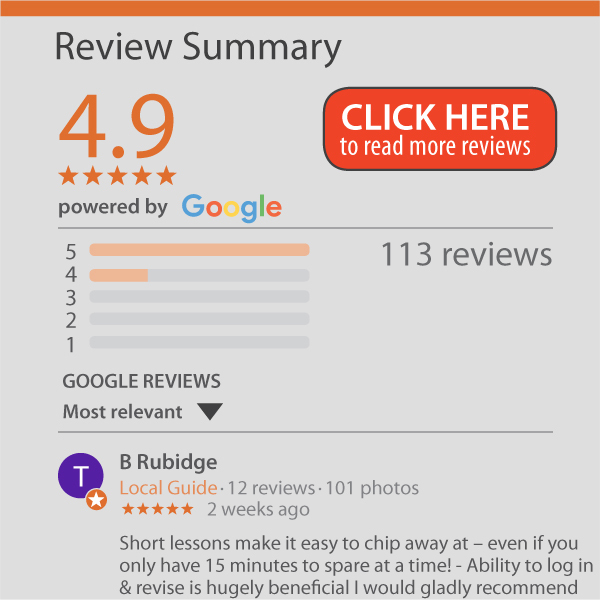 In this post we show a very effective way that makes use of the old DOS (you may not even remember it)! Note: In the newer versions of Excel there is a much better, quicker way using PowerQuery (also known as Get & Transform). If this type of topic interests you you MUST get to know about this great new free tool available in Excel! Click in the file path and copy the path (note that when you click in the path area it will give the full path). 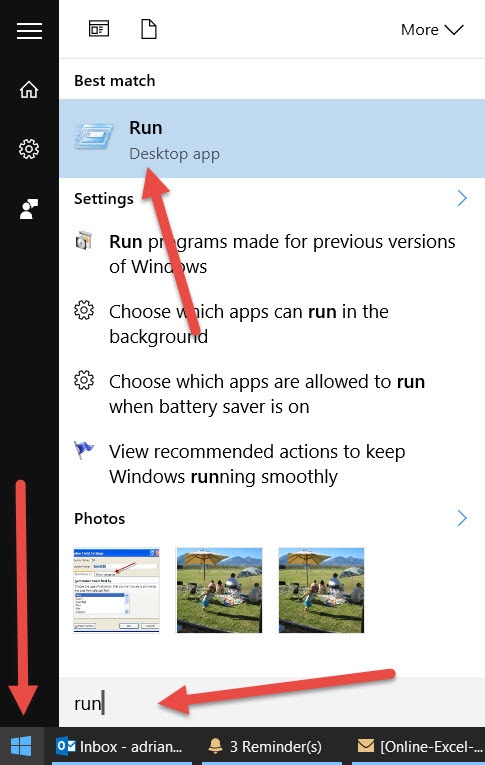 Now go to your windows or start icon (normally bottom left of the screen) and search for the word RUN. When you click on the RUN program, you will see this screen. Type CMD and click OK. Type cd then hit space (NB that there is a space) and paste the path that you copied at the beginning (or go to that folder and copy it again and paste here using CTRL + V). You will then see your full path shown. 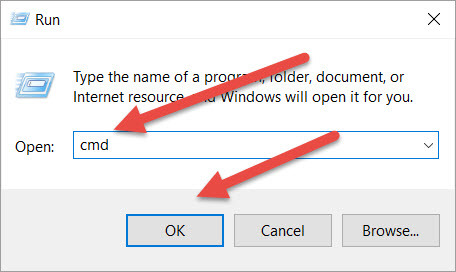 DOS is now waiting for a command of what to do in that folder. 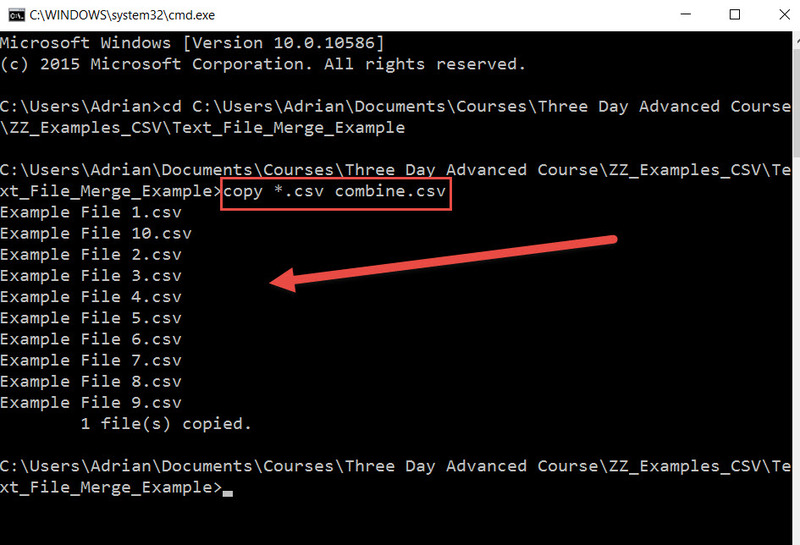 What you have done is told DOS to copy all files (* means anything) of the type csv into a single file called combine.csv (you can use whatever name works for you). The end result looks like this but this is not where the magic is. You can close these windows down now. 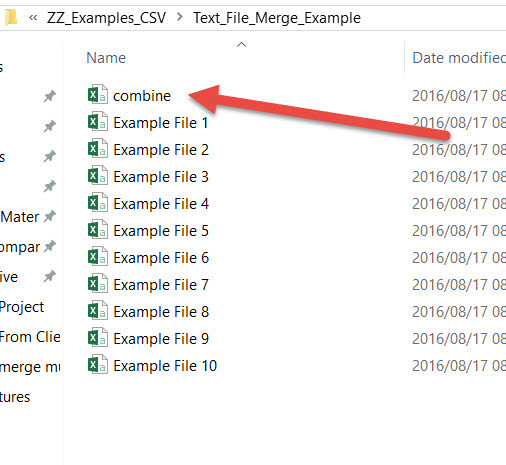 Go back to the folder with the CSV’s and you will see that there is a new file with the name you chose (combine in this case). 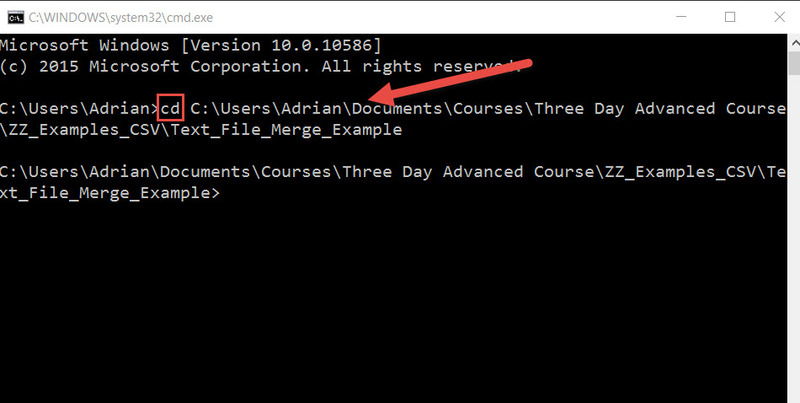 You can now work on one file which contains all the data of the other files. You may still need to do some cleanup work but at least it is all in one file.